Oh, I (Kayla) am just so excited for today!!! 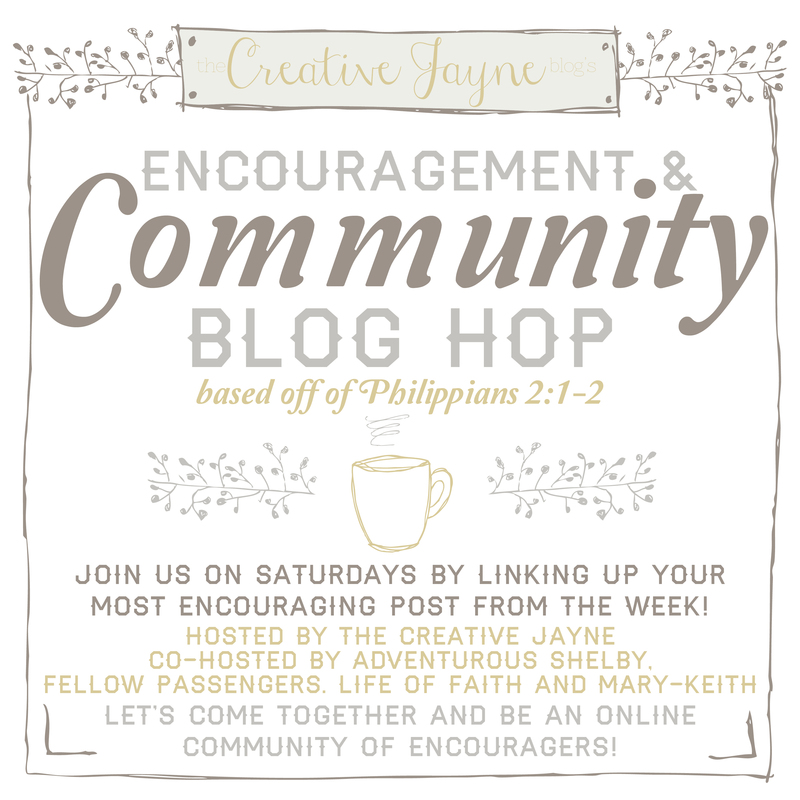 I have wanted to host a blog hop for such a long time and I finally decided just to do it. 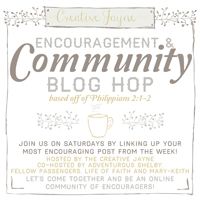 After figuring out the direction for the Creative Jayne to take it was easy to develop a blog hop. It will be completely based on encouragement. As long as your post it based on a heart from Jesus you are free to link up! 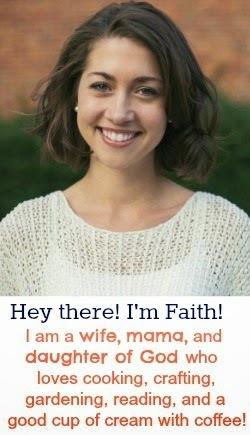 I always long for community with other believing ladies. There is something so satisfying about coming together with a common ground and just connecting on a deep level. I am so thankful that through Jesus we can do that and that he calls us to doing that. I hope that this will be a place of bonding, connecting and new friendship building while encouraging one another. Follow the Creative Jayne blog and co-hosts, Adventurous Shelby, Fellow Passengers and Mary-Keith's blogs. Please share it with your followers - grab the button and put it on your sidebar or wherever you have your link ups! Visit at least 5 of the other blogs in the link-up, we are after all, trying to develop community. Go ahead and link up if you've taken care of the rules above! We'd love if you would grab a button and add it to your blog somewhere. Interested in co-hosting? We'd love to have you on board. Send Kayla an email and let her know why your blog would be a good fit: kayla.j.nelson|at|outlook|dot|com Thanks so much for connecting. We are so looking forward to this community! One Year and Beyond Link Up is Returning! !